This was a guest post I wrote for 40:20 Vision, a forum for 40-something women to share wisdom with 20-somethings. You should definitely check them out as they are an inspirational crew oozing wisdom they’re all willing to share. I wrote this before the Marathon last month, but the sentiment remains. Enjoy! People sign up for a marathon for a lot of reasons. It’s a “bucket list” item. A nice-to-have. A notch in their belt and big life marker. When I signed up for the big 26.2 back in October 2012, I had been mulling this decision over for about four years. As a recent college grad in 2008, I quickly learned that life outside of class and all-nighters was one of discipline, consistency, regular bedtimes. Working a day job required 8-9 hours of sustained activity, and things like discipline, longevity and punctuality don’t come naturally to me. I could sprint through finals on 2 hours of sleep and 6 cups of coffee. But go to bed at a decent hour so I could stay awake at work for 8 hours? That was a different story. Early on in my career (and early 20s) I quickly learned that life is not a sprint. It’s a marathon. The unfortunate thing about this was that I wasn’t sure how to implement this reality into my life. How would I learn the daily discipline of marathon training? Enter bucket list. The nagging was always in the back of my head. “Maybe this is the year.” “Perhaps now is the time.” But something was missing. This needed to be bigger than just me, because it looked like I had 26.2 impossible miles ahead of me. If this was going to happen, I needed a reason and I needed a tribe. In March 2011, shortly after moving to NYC, I got connected to an organization called She’s the First through the power of social media. We sponsor girls in developing countries to go to school so they’ll be the first in their families to graduate. BAM. Something bigger than me? How about sending girls to school? How about sending 26 girls to school? That’s a pretty great reason. I knew I couldn’t do it alone, nor did I want to. That was $7,800. 26.2 miles. Lots of big numbers to a girl who isn’t a runner nor a professional fundraiser. That’s when I called Brooke. Brooke and I are friends from my wonderful days in Atlanta, where she currently lives. 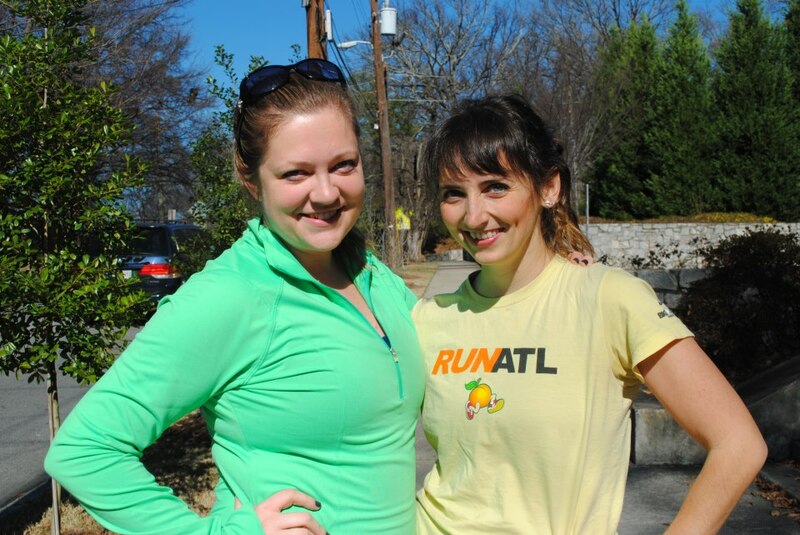 She is a runner who, as I would soon find out, had vowed to never run a marathon. Impossible! So many miles! Truth be told, she had a much better respect for the distance than I did. See above Re: She’s a runner. After some convincing and coaxing and her own soul searching, she came around. And when I say that she decided to complete a marathon I mean that she decided to attack a marathon. She charted her path, made a schedule, and didn’t miss one training run. We would Skype often throughout the process and mostly I would moan and groan while she’d blame me for getting us into this mess. But then she’d usually remind us both why we were here; that we chose to do this; girls would be going to school because of this! We’d send texts about long runs that were completed, cheering each other on from our different cities. The race is this weekend, and if I have any sadness in seeing an end to this it might be the constant conversation Brooke and I have had. We had been besties for years, but the bond we’ve forged over this race proves that distance doesn’t matter in an age of technology for friends who are worth it. A note about fundraising while training: you have to tell people you’re training if you want to raise funds. Tell people? I mean, can’t I just go run and train in the peace and quiet of my neighborhood? I might fail. I might get injured. I might not want to do that 15 mile run. And what if we don’t raise all the money? What will we tell everyone? Did we set our goal too high? Fundraising while training is really vulnerable. And vulnerability is awkward and uncomfortable and really, really scary. It is also wonderful. In sharing my story I have heard so many stories of people being inspired, or hearing about She’s the First, or races they’ve done with pointers for me. Through lots of dinner parties, prayers, Facebook updates, Instagrams, and even a TV Spot on CBS Atlanta, we have exceeded our fundraising goal and started funding the second year of school for the 26 girls in Nepal. More than 85 people have given generously and joined in on the journey. 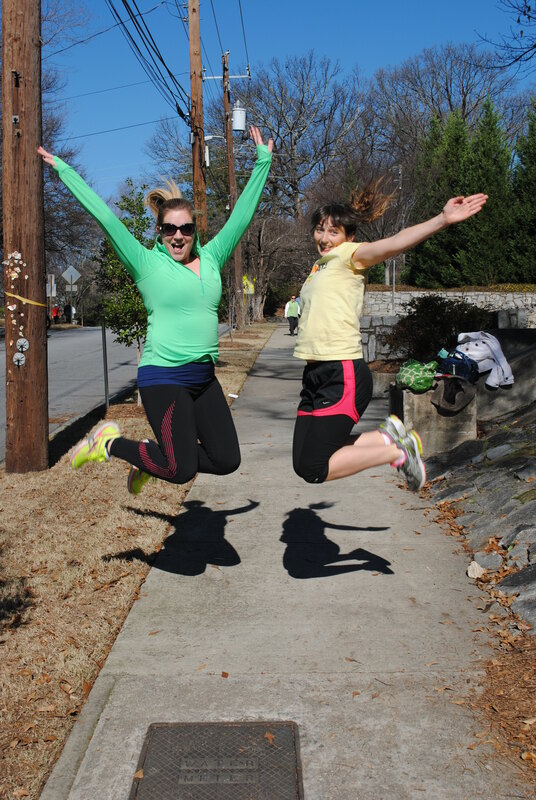 With every “Like” on Facebook and text message during a grueling long run, friends joined the tribe. It takes courage to live your dreams out loud. It takes courage to be vulnerable, to face the impossible. But I can say that it is so worth it. When I cross that finish line this weekend as a big puddle of tears, 26.2 miles later and 28 girls sponsored, I won’t be alone. What’s your marathon? Be sure to share it; you have no idea the lives you’ll change – including yours – in the process.